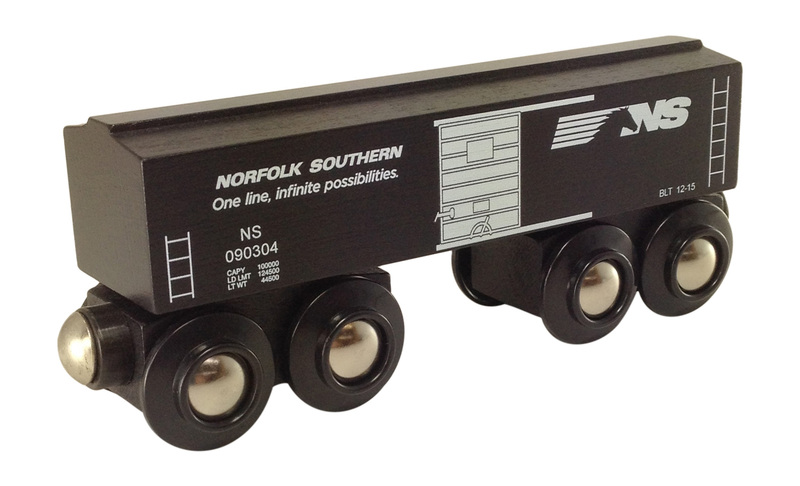 This Norfolk Southern 3 pc. set is a total of 16" long. 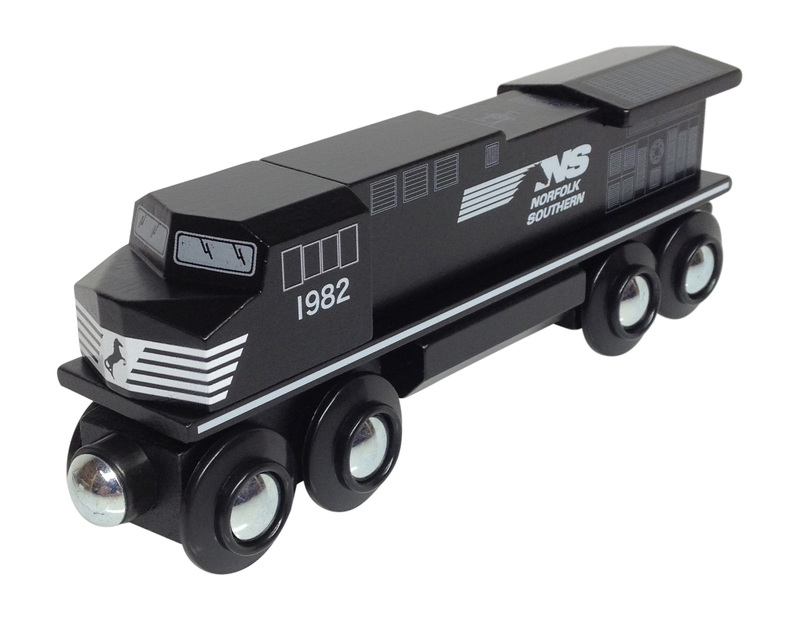 Consisting of a diesel locomotive which is modeled after the C44's, Dash 8's, Dash 9's, ES44AC's engines, a tank car and a boxcar. Rolls up and down wooden track hills and around tight curves. The quality of these wooden trains are of the highest standards. 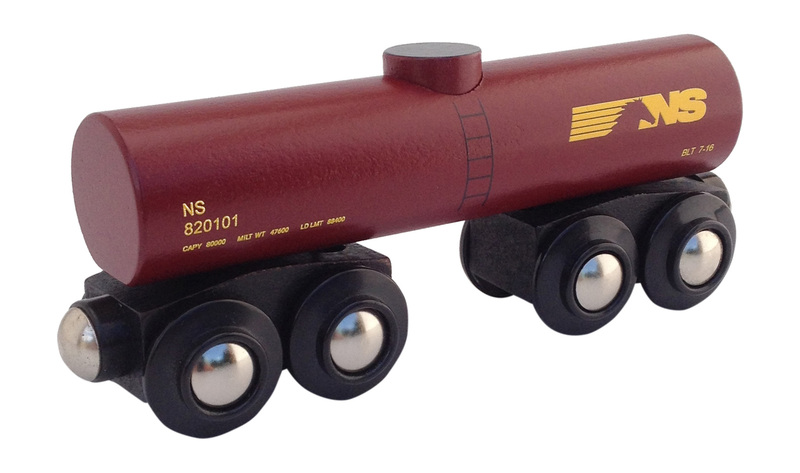 Compatible with all major brands of wooden track and trains.